As the program director, you need to keep track not only of who’s in which activity, but also registration, sign-in sheets, attendance records, activity fees and family payments. To simplify management of your after school programs, you’ll want robust, secure and flexible software to maintain your data. Your ideal solution will automate and streamline time-consuming administrative tasks for after school activities. With that in mind, here are a few ways to more efficiently manage data for your after school programs with Procare Software. Do your parents manually fill out preregistration information which your staff then types into a spreadsheet or database? You’ll save untold hours and avoid manual entry mistakes by allowing parents to enter basic family and child information online. Just place a link on your website and let Procare’s Online Wait List and preregistration system handle the rest. Once families have preregistered, it’s easy to import them directly to your Family Database. To know which children are in which programs at what times, you can create your own tracking categories to generate lists and sign-in sheets based on the activities to which each child is assigned. You can even go a step further by using schedule templates to keep track of the days, times and places the activities occur. Of course, each child’s schedule can be customized to suit their circumstances and to differentiate summer programs from after school days. And you can account for full-day programs when school is out of session, such as during spring break and on teacher in-service days. Procare also has an optional Activity Manager that’s a perfect match for programs with prerequisites, like swimming classes and other activities where different skill levels are required. Printing a basic sign-in or bus run sheet is always an option, but electronic sign-in is much more efficient. Teachers or drivers can check in a group of children at once, or older children may be allowed to check themselves in. Then, at pickup time, parents can check their children out. You’ll have proof-positive, accurate time cards which include a record of who checked them in and out. There’s even an option to check children in at curbside using your tablet or smartphone! Find out more about Check-In Solutions. A big part of managing your programs is keeping track of how much each family owes and having an efficient way to accept and record payments. Procare excels in both of these areas. Weekly or monthly recurring fees are easy to set up in the Family Accounting module and, if you track attendance, charges can also be set for hourly, half/full day, overtime and late pickups, etc. Then, automate family payments with Tuition Express to transfer funds from each parent’s bank directly to yours. You can also offer recurring debit and credit card payments, or let families pay online or through your check-out computer. 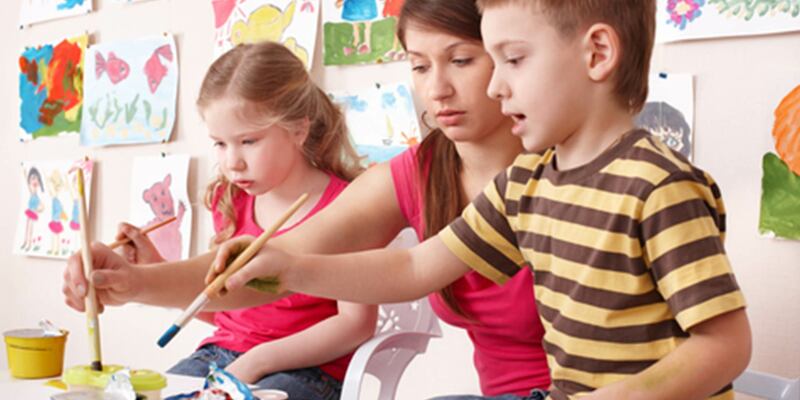 When it comes to managing after school programs, Procare has the solutions you need. Request a Free Demo today!